The most daring coffee drinkers will be thrilled with this weeks Keurig K-cup coffee sale! The featured roast is among the darkest and it is an extra bold K-cup to boot. 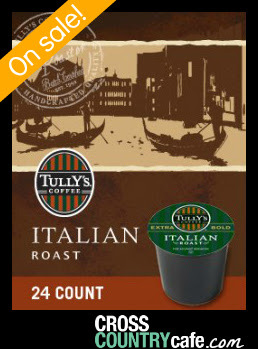 Tully’s Italian Roast Keurig K-cup coffee is on sale for $11.99 per box of 24! 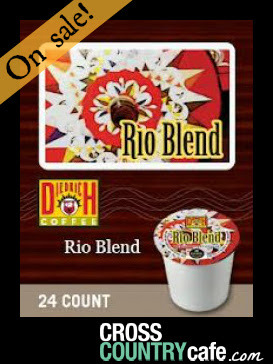 Diedrich Rio Blend Keurig K-cup coffee is on sale for $9.99 per box of 24! 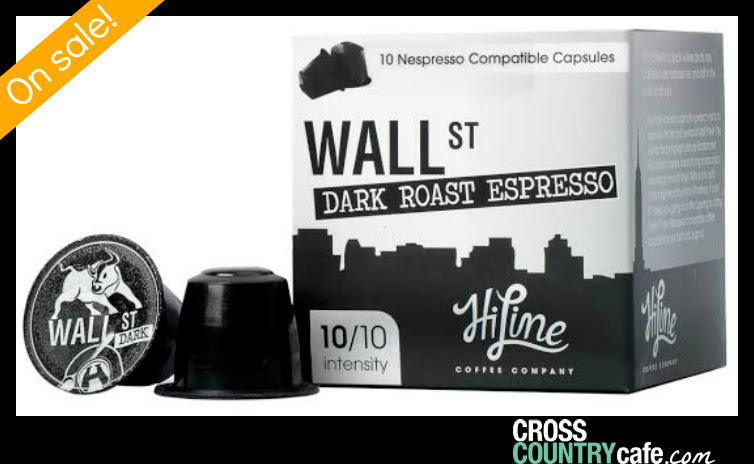 Wall St Nespresso compatible capsules are on sale for $4.99 per box of 24! And just in case you missed it…we are celebrating National Coffee Day (September 29th) a little early (we just couldnt wait) and you are invited to join us! Now through September 30th your readers can save $30.00 on all K145 Keurig brewers using coupon code 30offkeurig910, this puts this high quality commercial grade brewer at $99.99, free shipping and 12 K-cups are included! But, wait it gets better. All purchase made using this coupon code will be automatically entered into a drawing to win free K-cup coffee for an entire year (2 boxes per month)! National Coffee Day celebration! 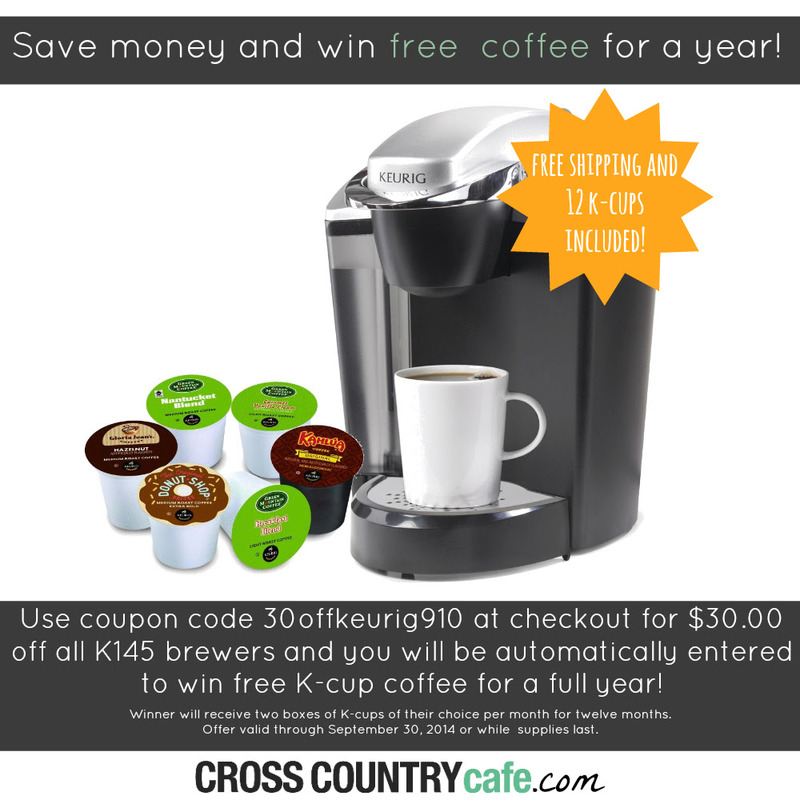 Save $30.00 on all Keurig K145 brewers and enter for a chance to win a free K-cup coffee for an entire year! Happy early National Coffee Day, thank you for celebrating with us!